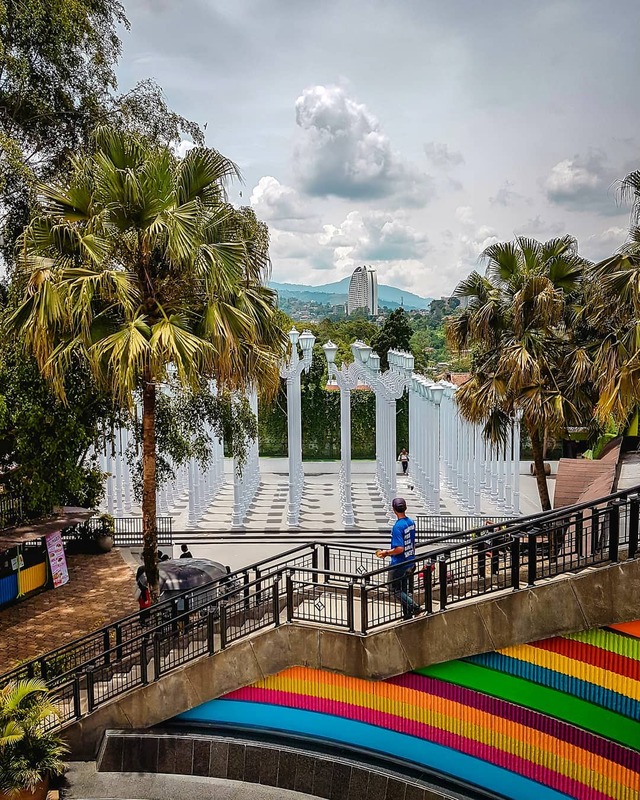 Tourism Bandung is increasingly known to make Bandung as the city of choice to visit when the holidays arrive. Currently present the most suitable tourist attractions to be visited by the tourists with family. The room is attractive with the support of bright colors with ice-cream theme that will certainly become a favorite place of self-owning visitors. Consisting of 88 lampstands are beautiful and artistic, carrying contemporary art that will become a new icon of Bandung. Collection of superhero character collection will be exhibited in this area, so that visitors can take pictures as if become superhero. Where lovers can lock their eternal love with the lock of love. You can interact and feed directly rabbits and other animals such as koi fish and pigeons. Visitors can see the collection of various Arwana fish. The area of ​​Rabbit Town is very family friendly, because starting from toddlers to adults can also enjoy the facilities provided in Rabbit Town on the ground floor (Fantasy Land), 2nd floor (Dream Land) and semi-basement (Adventure Land) floor. Located in North Bandung, Rabbit Town has a very cool and comfortable air to relax and spend free time with family and friends. Rabbit Town is supported by a large parking area making it easier for guests to visit. Another advantage Rabbit Town also has an amphitheater & ballroom that can be used as a location for events. To enter this Rabbit Town, Wargi Bandung must pay Rp 25.000. After that Wargi Bandung buy a card that will be filled with a deposit for entry into other areas. The price of the card is 5 thousand and each region is different price.